A fellow commuter was having a bit of a rant on the train yesterday about how his colleagues, especially the younger ones, don’t talk any more. He got more and more animated in his diatribe against the youth, glued to their screens, constantly tapping away on Facebook, Twitter, Yammer and email. But what really pissed him off was what they were not doing, rather than what they were doing. Why could they not spend some of their time face-to-face with people, practicing the art of conversation and using a bit more body language? Good old fashioned networking, where time is spent relaxing over dinner, seamlessly switching between day-to-day stuff, personal stuff and work stuff, provides the fabric for building up rapport, trust and a sense of being wanted and respected. People are far more likely to give and want to be part of something if they are treated well and looked after. But it takes time, effort and skill to know how to network well, something you can’t learn from online chatting. Sending an email to the manager of the marketing department of Adidas or Nescafe, however charming or witty, simply wont cut the mustard. If you want a company to part with their money you need to be mindful of them. 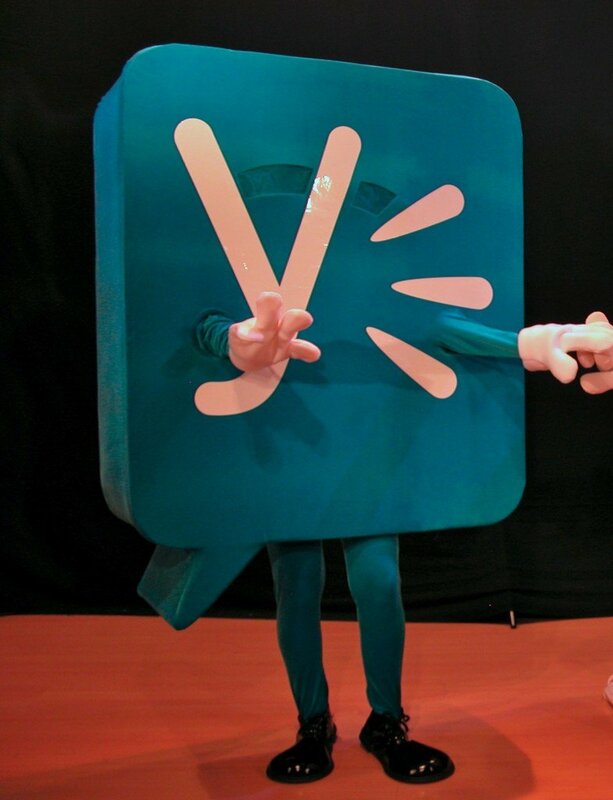 The widespread use of the social media tool, Yammer (over 2 million employees at more than 100,000 companies have used it), that looks like Facebook and Twitter, makes it even easier to not have to talk face-to-face with colleagues. It’s all mediated through the system: “Yammer filters the conversations with Share, Ask, Praise, Event, or Poll prompts. Responses are tracked by most likes, most replies, most posts, trophies, and badges that are consolidated in the Leaderboard.” Whilst one can quickly get a sense of the pulse of the office or the word on the street, by following the numerous ticker streams of online comments, thumbs up and quips, it is not real talk. It is not just the hospitality business where the art of small talk and face-to-face networking is on the wane. It is happening across all walks of life (as I wax lyrical about in my recent TEDx talk,). In my workplace at UCL we are conducting a study to see whether we can buck the trend by turning a ‘dead’ building, where no one really talks to each other besides the people in their own group, to being more of a curious lived-in building, that encourages people to talk more with each other – even strangers – in the lifts, on the stairs, in the coffee room, etc. about anything. It is called ‘Mood Project Building’ and is being headed by Sarah Gallacher. 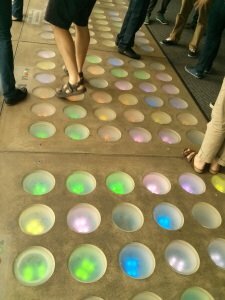 The project is investigating how physical and playful installations can be used to encourage a greater sense of community and social connectedness within a building. 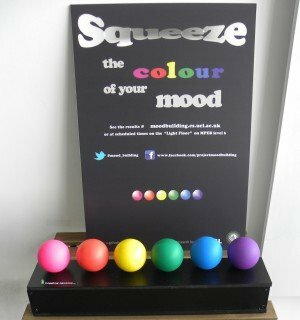 The idea is really simple – to encourage people, as they walk about the building, to squeeze one of a number of coloured squeezy balls that are located in public spaces on each floor of the building to reflect their mood. Are you having a yellow morning? A blue afternoon? The squeezes from the different floors of the building are mapped onto a large LED floor display intended to act as a social meeting place. 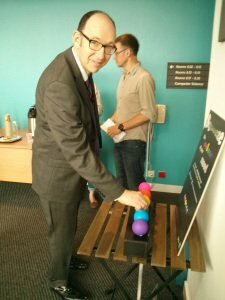 There people can discover and chat each day about what balls they have squeezed, why floor six is all yellow and then maybe, seamlessly switch into other talk. 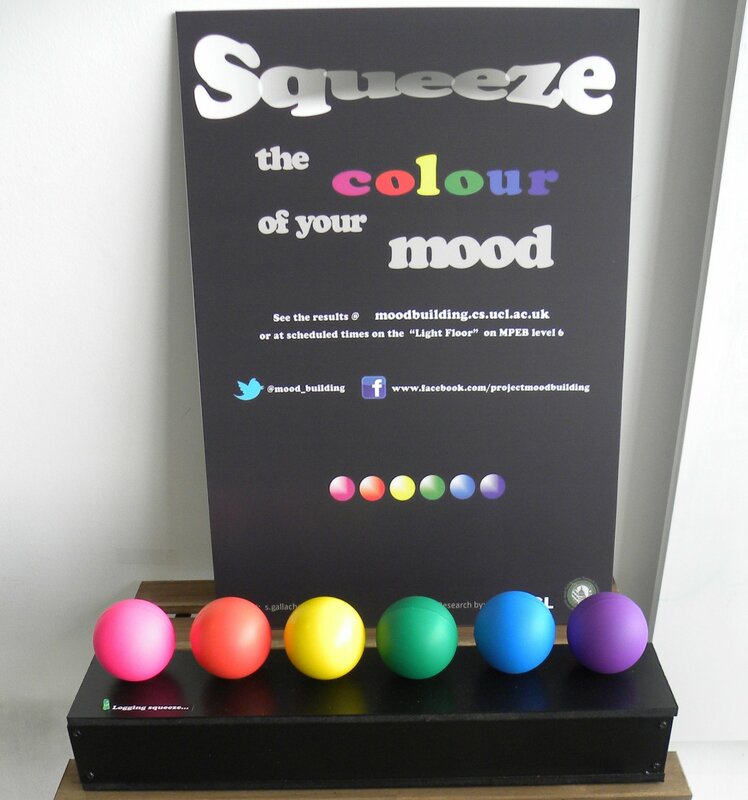 So far, the interactive installation has triggered lots of people throughout the building to squeeze the balls, to talk to strangers, to even be subversive and to be curious. Maybe we could also design a physical interactive installation to get those city guys glued to their screens to take a break and actually talk to one another more in the flesh. You never know one of those impromptu conversations could lead to an unexpected and fruitful collaboration and land them a big client. Goodbye emoticons. Bring on the real smiles.